Exclusively Ours! An Allan Robin Design!! Cadmium, Lead & Nickel Free!! New! Antiqued, Silver Tone, Ball Chain Adjustable 17 1/2 Inch Necklace, Can be Made Smaller By Cutting Between The Metal Balls With A Normal Scissor. 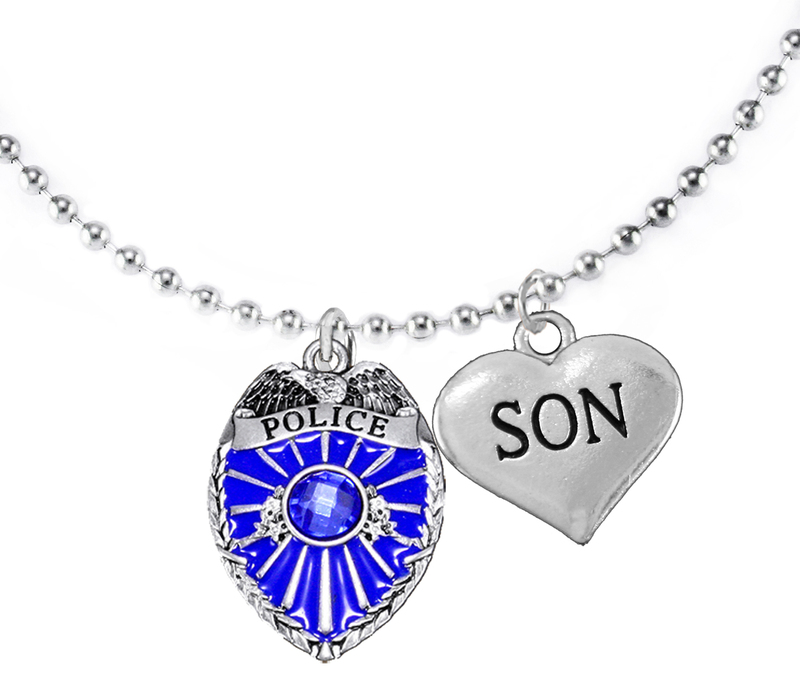 Comes With Beautiful Blue Crystal,Police Badge Charm And A Small I Love You "Son" Polished Silver Tone Heart. A Perfect Gift.